There is a troubling trend backward in dentistry today driven by company-owned practices, localized competition in and around popular cities and even advances in technology that may prove to be very detrimental to specialized dental care in the United States, especially in larger urban areas and cities. To better understand this trend and the problems it brings we must review the past going back to the beginning of the Specialties of Dentistry. I will focus on Orthodontics however this is equally a problem with Oral Surgery, Periodontics (gum surgery), Prosthodontics and even Pedodontics. The modern practice of dentistry began as an all-encompassing field which included oral health, oral hygiene, restorative dentistry, surgery and replacement of missing teeth. Even as recently as the 1930’s, it was commonly accepted that teeth would be lost throughout life until partials or full dentures were used to replace these missing teeth. Gradually medicine improved, Fluoride was introduced into public water drastically reducing decay and materials were developed that could withstand the oral environment so that restorations/fillings could save teeth much longer. 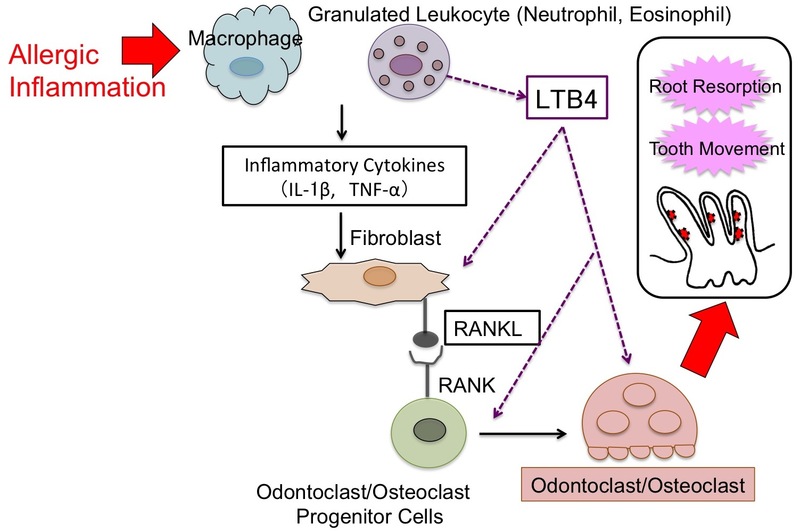 Oral health became better understood (via microbiology and immunology) to the point that supporting tissues could be maintained better leaving solid and healthy gums longer and allowing successful treatment and resolution of inflamed, infected and diseased tissues. This eventually led to dentists that could focus on more specific problems, problems that were less common and/or more severe or issues that could not be treated as well in a General Dental practice. These dentists learned how to treat the more severe oral maladies as they developed specialized procedures and equipment based on research and experience, and they ultimately began teaching their methods and passing on their experience to individuals through preceptorships as mentors. Eventually several “specialties” emerged, some for gum treatment/surgery/grafts, some for removal of 3rd molars and difficult extractions, some for performing root canals and others for mastering very difficult restorative cases/full mouth reconstruction. 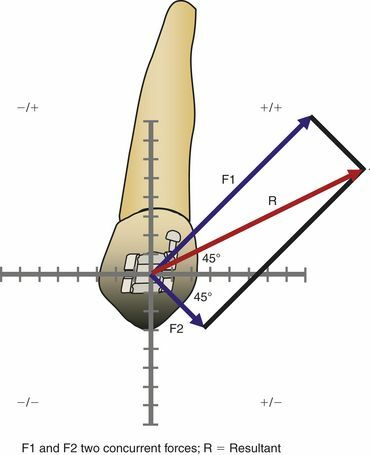 In this evolution and progression in dentistry, there was a growing group of “specialists” that were mastering movement of teeth to correct severe rotations (which held more plaque and were ultimately lost at a higher rate than straighter teeth). 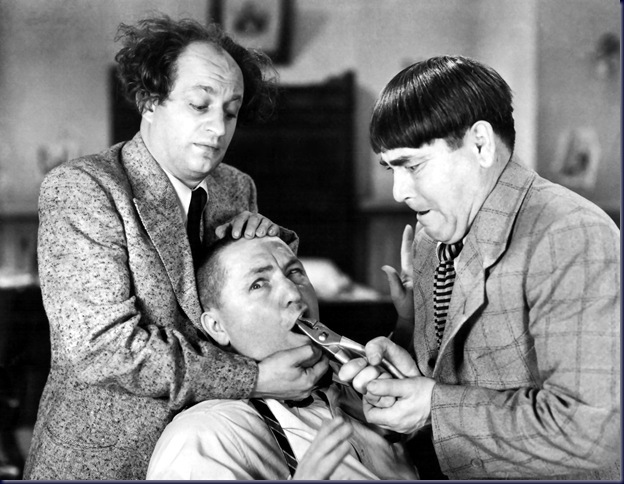 These early specialists also saw the obvious improvements in esthetics by having straight teeth. Unfortunately it was inherently difficult to move teeth; appliances had to be made custom for each patient, practitioners had to learn the physics of moving teeth in all three dimensions while maintaining the position of other teeth, wires and springs had to be made from different metals to conform to the dental arches and slowly put pressure in teeth, and spaces had to be created to correct more severe crowding or mask skeletal discrepancies. In short, the practice of Orthodontics took specialized knowledge, education, equipment and skills not learned by General Dentists. 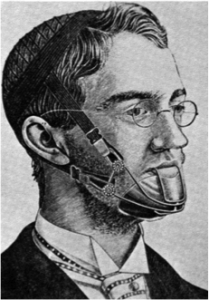 This is the reason that the very first organized Specialty in Dentistry was established for the practice of Orthodontics and Dentofacial Orthopedics in 1929. Other fields followed and soon there were Specialties for Oral and Maxillofacial Surgery, Endodontics (root canal dentist), Periodontics (gum surgeon), Prosthodontics (reconstructive dentist) and Pedodontics (children dentist). Over the last 60 years, these fields dropped the preceptorships and required multiple years of additional accredited specialty school after dental school. So where is the problem you ask? How could we actually go backward? The answer is that we have learned how to prevent many of the issues General Dentists traditionally treated in the past: Fluoride was introduced (first in Grand Rapids, Michigan) in 1945 which reduced the amount of decay in the population, Orthodontically straightened teeth were being kept longer and oral diseases could be cured/controlled/maintained while restorations could be placed in better position than ever before. With this public enlightenment, General Dentists in competitive areas did not have the same volume of restorative work to pay their bills with simple fillings and cleanings. And although more expensive cosmetic restorations and elective procedures fill some of the gap currently, many dentists have also started performing traditionally viewed specialty procedures after taking simple weekend courses on the basics to fill their schedules. 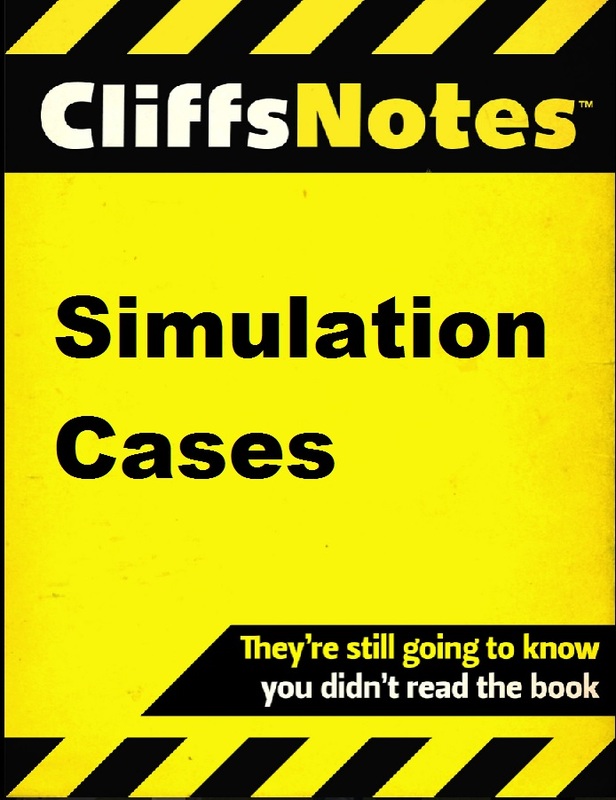 I would liken it to never taking the class but working exclusively off the Cliff notes. So, are all General Dentists that take teeth out, see children or provide limited orthodontics bad for the patient? Of course not; specialists rely on their General Dentist partners to care for the easier cases or to provide the simple straight-forward procedures. Can kids be treated at a General Dental office? Of course if the child is not apprehensive and the dentist is trained in pediatric procedures (also there may be no children’s dentist nearby) however children’s teeth are treated differently and a Pedodontist office is geared specifically toward the comfort of children; Pedodontists have advanced training in primary dentitions, early development, children’s sedation and child psychology so many kids are more comfortable at the children’s dentist office and they may receive better care overall. Same with removal of teeth; not every extraction requires an Oral Surgeon but where a General Dentist may struggle to remove a difficult tooth (wisdom teeth/impactions/fractured roots) an Oral Surgeon will likely remove the offending tooth/teeth under sedation in a more timely manner and with less damage to the surrounding tissues making healing easier. The real problem is that General Dentists not specialty trained don’t actually realize when a case may be difficult (in most cases they don’t have the same radiographic imaging or records to even diagnose a case); it is the lack of experience and lack of specialized education that leads to many misdiagnoses and poor outcomes/relapse of teeth/compromised healing/bad experiences. It is simply hard to know when there is a potential problem if you do not have the education, the proper records or sufficient experience to identify the problem and General Dentists do not keep up with specific literature and research for individual specialties such as Orthodontics. Many times, the General Dentist may leave screening to the even less trained Hygienist and early problems never get referred to specialists until it is too late. These General Dentists that try to offer every procedure (especially Orthodontics) rarely refer a case out to any specialist which can lead to significant future problems due to poorly timed treatment, missed malocclusions, unidentified growth dysplasia and even loss of teeth from a lack of understanding of procedures/ physiology/ physics. Although they may claim years of experience in some specialized procedure such as Orthodontics, it very well could be (and likely is to some degree) just repetition of the same mistakes over and over. There is ultimately a good reason specialty training takes two to three years additional after dental school and after treating up to 100 cases under the guidance of Board Certified Orthodontists from start to finish. So if you notice your dentist is trying to offer every treatment under the sun with no discussion of referral for things like orthodontics, removal of impacted teeth/wisdom teeth, or referral of children to a local children’s dentist then you may remember the old adage, “Jack of all trades, Master of none” and consider checking around for a General Dentist that works with a team of specialists and is going to send you to the best doctor when you need specialized treatment instead of providing his/her own limited care based on limited knowledge and even more limited self-guided “experience”. Don’t wait for a referral from a dentist for something that they are not trained to identify as an early problem. 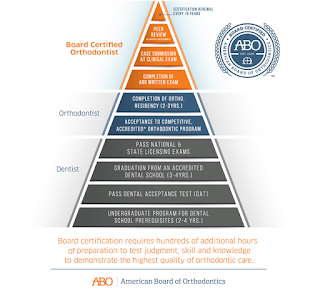 The American Association of Orthodontists and the American Dental Association recommend every child see an accredited Orthodontist by age 7. 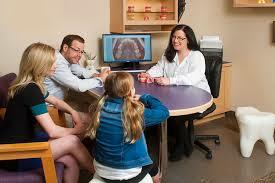 Every child can be seen directly with a Pedodontist or Orthodontist without referral from a General Dentist. Care of your children is best direct with those that are the experts; only they will be able to identify problems early. Look for a General Dentist that works with a team of specialists that in your best interests, not the interests of trying to collect for every procedure you may need; after all, whose interests are being served if you and your family are not directed to the best option for specialized treatment? This may take a little asking around in cities but the search will be well worth it in the end and the results will last a lifetime! Trust your Orthodontist to tell you when you are finished! Trust your Orthodontist to tell you when treatment is complete. I remember when I first joined a practice with a 40 year veteran of Orthodontics I was amazed how questions of finishing by parents and patients used to trigger his elevated blood pressure and cause a snappy response of “Ask your teeth when they are done!” or he might just tell them “Soon!”. I remember thinking how short and even rude sometimes. However sixteen years later I see that his frustration was a sign of how much he cared for his patients. On any given day I am asked at least 10 times when braces are going to come off. I hear it in many ways; sometimes a simple and polite “how much longer do you think we have?” to “I’ve been wearing these for nearly two years!” all the way to parents coming back and demanding we finish within 60 days. I even get requests by general dentists and hygienists to simply remove all appliances because little Johnny is tired of wearing braces (this probably offends an Orthodontist more than anything). I think people have gotten used to a predictable world with deadlines and immoveable schedules and they think orthodontics is akin to getting a filling or having some single procedure at the dermatologist office. Patients have been led by advertising and slick salesmanship to believe orthodontics can be measured out and defined in months with a specific number of aligner trays or a hard 18mo or 24mo estimate. Patients and parents must understand one simple truth: if a doctor is removing braces or stopping aligner treatments exactly on time, every time, then he or she is treating you as a commodity and not a patient. Orthodontists only extend treatment on patients because they care about those patients and their outcomes. Leaving patients in treatment the full estimated time or extending time in treatment only costs the Orthodontist in money, time and good will. There is no benefit to the Orthodontist personally in trying to talk a patient or parent into leaving braces on a little longer; there is more staff expense, more utilities, fewer new patients that could be seen instead; above all, they know the patient is not happy. Of course we also have to deal with unreasonable online “reviews”. Patients need to be educated that Orthodontics is a very complicated process. 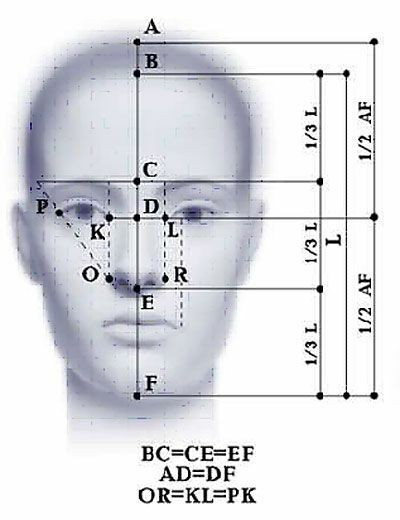 A Board Certified, trained specialist in Orthodontics and Dentofacial Orthopedics must consider biology of the bone and supporting tissues, physiology of the immune system and osteoclastic behavior; he/she considers the release of bone proteins, cytokins and painful prostaglandins as well as anatomy of individual patients concerning sinus walls and density of bone. 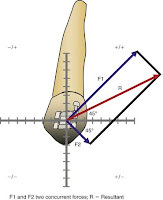 The Orthodontist is trained beyond all other specialties on growth and development and function of the joints and he/she must understand physics including moments and force ratios. 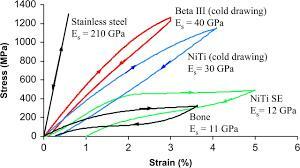 As an Orthodontist, we also have to understand the different properties of specific alloys used in wires such as Stainless Steel, Titanium, Copper Nickel Titanium and Elgiloy among other more proprietary blends. The Orthodontist is also an artist who must understand esthetics and facial proportions (and how the dentition can support or reduce facial features). In short, there is almost no way to predict timing of treatment to a single month (or day!). And although there is a time to remove appliances and call it a day, patients need to trust their Orthodontists to determine when that time arrives. So in this world of fake news, false advertising and slick salesmanship, there is still one person that you can trust explicitly with your family’s orthodontic treatment: it’s the Orthodontist who is ultimately responsible for the outcome and who has planned the treatment. Find an Orthodontist you trust and stick with them until the end! It is fine to inquire occasionally on progress but be careful not to push them into removing appliances/braces before the job (that you are paying for) is complete. Where have all of the Family Orthodontists gone? If you are a parent of pre-teens or teens you may have noticed its getting tougher to locate a single doctor Orthodontic Office these days in larger urban locations. Even in the suburbs there seems to be a trend toward corporate dentistry as companies seek to place satellite offices in strip centers of every Randall’s Grocery store or HEB on the block. In fact, there are more corporate offices employing dentists and dental specialists due to high student debt, inability to finance new offices and over-burden from the fatigue of running a business (staffing, taxes, billing, insurance, HIPPA, OSHA, etc., etc.). Companies used to pulling in 10% to 15% annual return on their investment see this as a perfect opportunity to profit from dentists and Orthodontists who don’t want to run their own practice or don’t want long-term ownership/anchorage to a practice. In other words you have a new population of employee dentists and Orthodontists that drift around and compete against the old-fashioned family dentist your parents used to know and appreciate. Is this bad? Can companies reduce overhead and simplify life for the practitioner? Absolutely. Does this always help the patient? Certainly it can but in reality this model inserts a new middleman that must be paid to manage the office. Also, the doctor will no longer have the same feeling of ownership with patients; if he or she is using the company to just practice as an employee without responsibility or effort then it is a problem for the patients. If you are fortunate and your doctor has chosen to work with a company to manage the practice so they can focus on the patients (without interference from cost-cutting management, etc.) then you can receive good care. So how can you tell if you are getting the best treatment and service; what should you expect? First, you should be well informed of any treatment BEFORE any fees and BEFORE any procedure. In the case of children, you must give consent for the treatment at the beginning and be asked for permission to do anything that changes during the course of treatment. Second, you should expect to speak with the Orthodontist anytime you have a question. Privacy laws and efficiency generally lead Orthodontists to have parents wait in the waiting room during adjustments however they should be available for questions after the appointment at your request (and if they are with another patient, the assistant should be giving you an update as the front office schedules your next visit. Third, and probably most important, the Orthodontist should see the patient EVERY visit. You are paying for very specialized knowledge, experience and skill. Assistants are great auxiliaries and a good doctor will have exceptionally trained assistants but they are no substitute for the experience and skill of the doctor. You should be asking questions if the doctor is not seeing you or your child during treatment adjustments or if the assistant is bending the wires. Fourth, you should have an estimate for treatment completion and you should know when treatment is being delayed by poor compliance or poor oral hygiene. Other things to look for are after hour care/availability, payment options without interest, cheerful staff that recognize you and your family and you should see positive results in your child’s or your smile as treatment progresses. The doctor should help keep your expectations realistic so that if there is an issue that arises, there is a reason not just an excuse after the fact. Look also for referrals from friends. 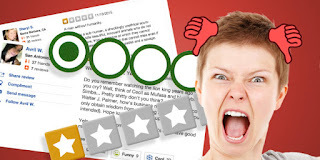 Online reviews are helpful but can be a breeding ground for abuse by disgruntled patients (many with balances or non-treatment related issues); doctors cannot respond online to complaints so these can certainly not reflect an office if it is a single or infrequent complaint. Friends and neighbors are a much better source. 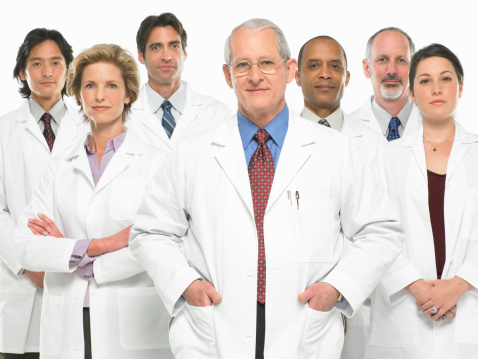 To summarize, you should expect to feel comfortable and confident in the doctor you choose. If this is a company office, you should still have this relationship with your doctor; the company should be thought of as a management group only there to assist you and the doctor with the non-dental needs. When should you look for another opinion or office? What you should avoid: Multiple doctor offices that have a different doctor seeing you or your child at every visit. Avoid offices where the doctor isn’t chairside at every visit or allows his/her assistants to bend wires (and therefore dictate treatment). Avoid offices that don’t give access to the doctor when you ask (you may have to wait a few minutes but they should come to answer questions as they get free). Avoid offices where they have new doctors altogether every 6 to 12mo; orthodontic treatment is an art and very difficult to control and finish accurately when there are multiple doctors throughout treatment. 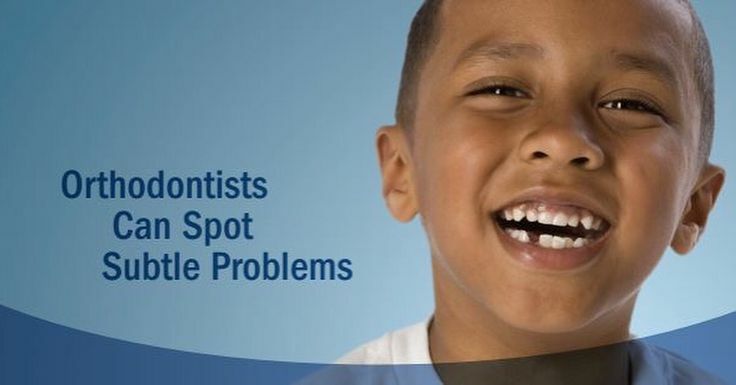 Avoid offices that push less accurate treatment because it is “more esthetic” or “less noticeable”; in particular avoid all-Invisalign offices, especially for kids with poor compliance on average due to loss of trays and lack of wear time. Aligner trays have been shown to be only 18% to 47% accurate in moving teeth (j.ajodo.2007.05.018; ajodo.org) and adolescent teeth/jaws are still growing; they are ill-suited for adolescent and teen corrections for these reasons alone. Also, these aligner offices generally involve a doctor of group of doctors running 3 to 5 (or more) locations, they are normally understaffed and tend to treat every patient the same in spite of their unique malocclusions. Many are no better than an online or mail-order treatment. Are all company-run dental offices bad or lower quality? There are practices run by quality companies that realize they must maintain quality to maintain their pool of patients and prospective patients. They are usually companies that only join specialist practices and they work closely not to change the patient-doctor relationships on the front end but use their size to negotiate supplies and reduce expenses to streamline treatments without costing the patient more or taking too much from the doctor(s). They also have good business experience that many of us doctors simply do not learn on our own. A good company-doctor relationship can benefit all parties but both you as the patient and the doctor must receive good service and fair compensation for a lasting relationship and successful treatment. Above all else remember that you are paying for excellence and experience, for compassion and skill. There is absolutely no reason to settle for anything less in today’s medical environment as long as you are willing to look around a little for the right fit! 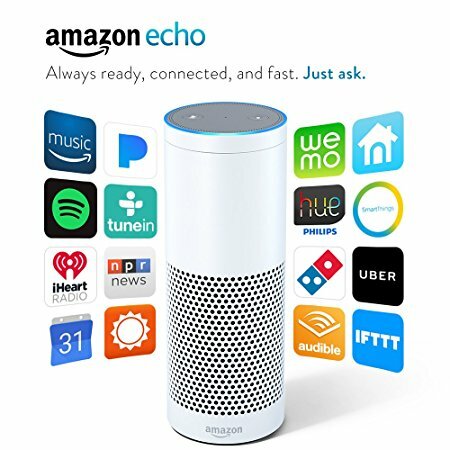 Dr. Alexa? Is online medicine the future or the end? In no other time since the advent of radiographs, vaccines or perhaps antibiotics has medicine been in such a transition. As a dental specialist, I see the changes (some good, many bad) in my own field of Orthodontics we now see poorly trained (or not at all) dentists attempting to provide care equal to specialists with thousands of hours and years of experience guided by research and governing boards of continued education; we see companies marketing to and attempting to diagnose and treat patients directly just waiting to cut the doctor completely out (and already doing so online). And don’t get me wrong, I think people go to their doctors to often for colds and bugs that will simply pass. But there is a real risk to not seeing a doctor when you really need one. Many serious diseases and infections can seem minor to the untrained eye and ear but are immediately identifiable to an experienced and well trained doctor. Patients cannot trust the law of averages programmed into aps. Certainly MOST of the time it is a cold or a sore muscle or even just a fainting spell or dizziness from over-working yourself. 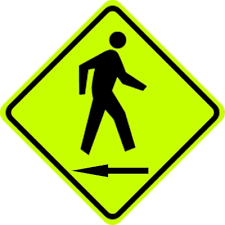 But it is those less likely scenarios that lead to more severe problems and even death. In short, doctors have a hard time catching the 5% if we don’t see a percentage of the “normal” patients. In fact, in my opinion there are several potential problems we can predict from online “doctor aps”. First, doctors learn trends of certain viruses and bugs going around by the patients they may see; they know when there is an abnormally high number of certain diseases or infections before the public and they can dispense more specific and preventative care accordingly; family physicians need to have a connection with the public to be able to treat patients better. Second, doctors can judge the severity of infections and injuries not only through individual examination but also by comparing with previous experience looking at many other patients that maybe weren’t as serious or had a condition that mimics a more severe condition. Without this repetitive experience, doctors could jump to conclusions without sufficient experience or they may not know to err toward more testing; not based on the text book, but maybe based on a previous patient and their outcome. Third, doctors follow patients as they get better; they keep medical records on each patient so they know how that specific patient’s condition and health is versus the averages for their age, etc., etc. They know what other siblings and what the parents may have had in the past; tendencies based on specific familial traits and diets. Good doctors know not only that a patient is showing subtle signs of something but he or she may know the patient has a genetic predisposition for a disease based on parents and even grandparents. For example this can lead to early cancer identification and can cause the Doctor to lean one way or another on treatment or to give better guidance on diet and lifestyle. In short, medicine, like dentistry and certainly Orthodontics, is part science, part experience and part art. Patients that trust online advice from an ap on a cell phone or digital base station are risking their very wellbeing and the health of their family by bypassing true medical advice and examination by experienced professionals that keep current on trends and treatments. Just like GPS navigation devices that seem to work great until there is a quick junction, a closed street for repairs or some unpredictable traffic (and you end up going the wrong direction on a one way road, diverted due to construction or at the wrong location with a similar name), online “digital doctors” will only miss when it really counts. After all, isn’t this why we go to Doctors in the first place? You can bet these online sources will take no responsibility, financial or otherwise, when you end up with a severe disease or disability form poor advice. 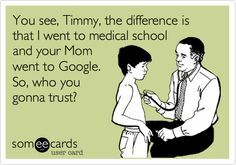 Over the last 21 years in practice I have seen the public perception (and newer dentists’ perceptions) of braces/orthodontics move from seeking advice from the Orthodontist to making decisions based on here-say, google searches, neighbor stories and even from well-intentioned (but less educated) general dentists. In the past it was common place for dentists to refer all kids at age 6 to 8 to their local orthodontist for evaluation. 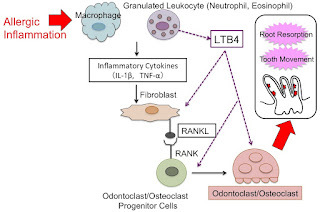 Dentists knew their limitations and their education and realized that the specialist (Orthodontist in this case) was the only one educated enough to make a decision on treatment for advanced early cases of growth dysplasias, etc. ; they also realized that the orthodontist was going to be obligated to tell parents if something was missed years earlier and now removal of teeth or even surgery would be necessary to correct a malocclusion. Children’s dentists would never attempt orthodontics because as a specialist themselves, they respected the more focused education we as Orthodontists had far above general dentists and pedodontists alike (same that makes them better suited to treat children’s teeth with regards to maintenance and restorative work) when it came to correction of malocclusions. Fast Forward now to 2017 and we have information overload, competition for patients not only between different generations of Orthodontists but also between general dentists and children’s dentists, and we have companies marketing directly to the public with so-called “alternatives” to braces and wild claims of success that has been disproven both with experience and research. It is really no surprise that the public is lost in a fog of dis-information and poor advice. So who should the public trust? Clearly there is only one of these groups that is specifically trained for years and has many more years of experience with straightening teeth and correcting jaw dysplasias through early growth, answer is: TRUST THE PRIVATE PRACTICE ORTHODONTIST! What I have seen (and what I have also discussed with practitioners across the country) is that many dentists and children’s dentists are not referring patients until they perceive a problem. This may be fine for the patient with obvious problems that show up right at the time they may require correction (and the patient goes to the dentist right at the right time) but I am here to tell you, the public, that dentists and children’s dentists do not have the education or experience to identify and diagnose skeletal dysplasias, identify borderline extraction cases or realize when the facial esthetics may be compromised by poorly developing dentitions. These means you can expect higher risks of removing permanent teeth, higher risks of impacted teeth requiring surgery, higher percentages of cases with non-treatable skeletal dysplasias and less stable future corrections. So why aren’t dentists referring patients to be screened? Well some dentists have busy practices and they leave screening up to their hygienists (who have even less knowledge). Other dentists may have a pre-conceived notion of braces as a treatment only for crowded teeth and they may be waiting for all permanent teeth (which is very detrimental to most patients and drastically reduces options for treatment if/when the teeth do eventually erupt); many times I have seen patients coming in at age 13 or 14 with impacted teeth that could have been prevented or with huge overjets/overbites that now require surgery to correct. 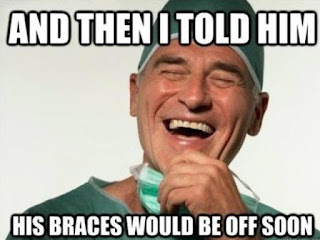 There are other dentists that simply feel they know better and actively dissuade their patients from orthodontics and instead only to offer their own brand of alignment with less accurate clear aligners as if they are the same as braces (which they most certainly are not). No matter the reason, the fact is always the same: The Orthodontist is the only professional that is specifically trained to identify and to treat developing malocclusions and skeletal dysplaisas (hence the specialty of Orthodontics & Dentofacial Orthopedics). 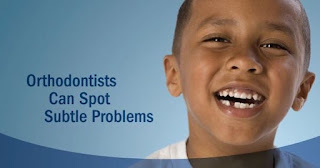 In short, there is no logic in waiting for a dentist to tell you there may be a problem with your bite or your children’s developing dentition when they simply do not have the knowledge or experience to identify all problems early. This is no dig on my brothers and sisters in general dentistry; I don’t ever judge their root canals or restorative work and would consider it malpractice if I even attempted some of the things these general dentists can do for my patients. 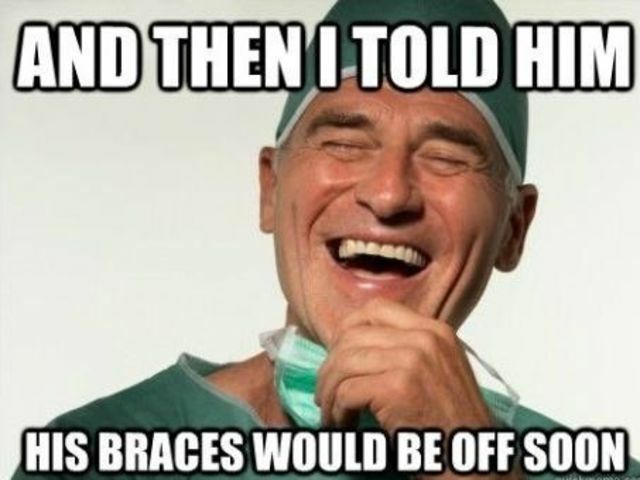 But when it comes to orthodontics, I want to have every opportunity to provide the best treatment possible for my patients without being handicapped by actions/non-actions due to less knowledgeable or even down-right bad advice. Contrary to advertising efforts by Invisalign and propaganda from less educated (and sometimes outright biased) sources, Orthodontics is not simply a specialty of Esthetics; Orthodontists are not esthetiticians to be placed on a level with a nail salon or spa. Orthodontics and Dentofacial Orthopedics is a dental specialty requiring years of specialized training and education beyond college and dental school. We are there for you and your family, for your health and long-term function as well as to provide beautiful but lasting smiles. We will always work with your dentist and other doctors but we are the ones that must decide how to treat and when to treat you and your family if you want us to provide you with the best, most stable, most efficient (and usually the most affordable) options.